Spice Bazaar was opened in 1664 as part of the New Mosque complex. The square in front of Spice Bazaar adds a great value to the character of Historical Istanbul. Those who step into Istanbul Historical Peninsula from the other side of Galata Bridge never fail to stop by this square and the surrounding markets. 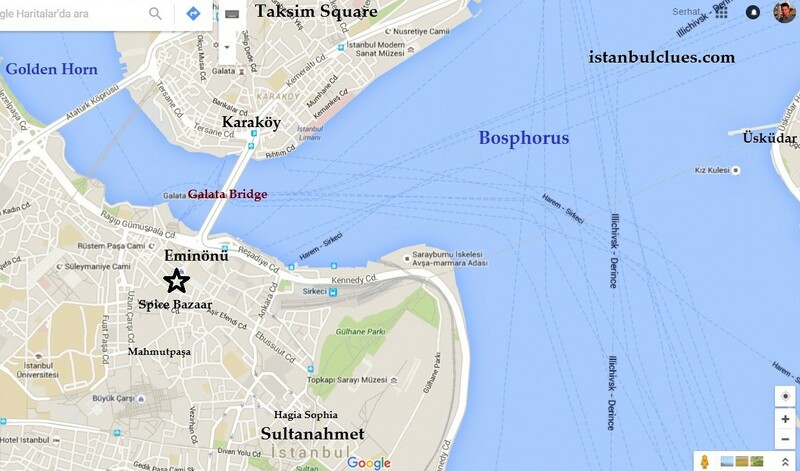 The same thing is true for those who cross the Bosphorus from the Asian Side through a beautiful boat trip. 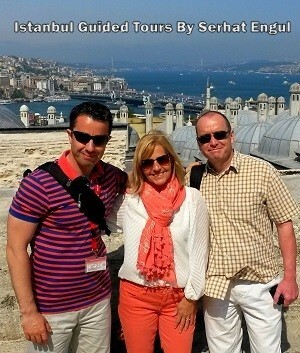 The first to take the eyes are the silhouette of New Mosque and Eminönü Square in front of Spice Bazaar. 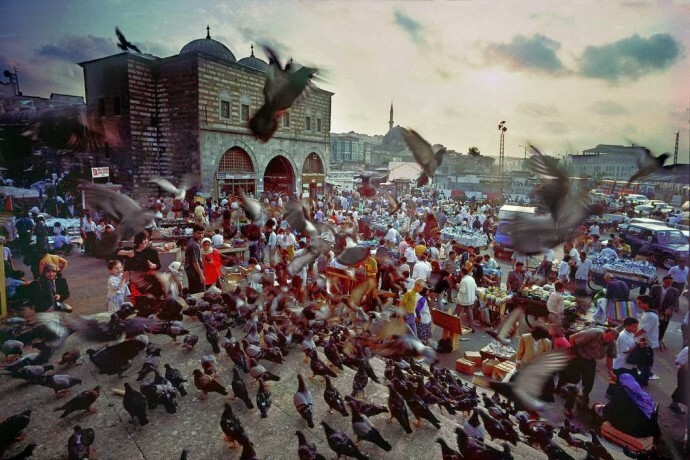 Together with hundreds of doves flying over the square of course… It is a tradition to feed the doves here just like San Marco Square in Venice. The Bazaar is called Mısır Çarşısı (Egyptian Bazaar) in Turkish because the spices sold here used to be carried all the way from India and Far East through Egypt by caravans. It is known by foreign visitors as Spice Bazaar due to herbs sold here. During the Ottoman Empire times, the onlything that was sold here was spice. But today the number of herbalists are not as much as used to be. Besides spices, souvenirs, dried fruits, Turkish delight, snacks and jewelry are also sold there. The Spice Bazaar has gone through an evolution and turned into a sort of miniature Grand Bazaar. 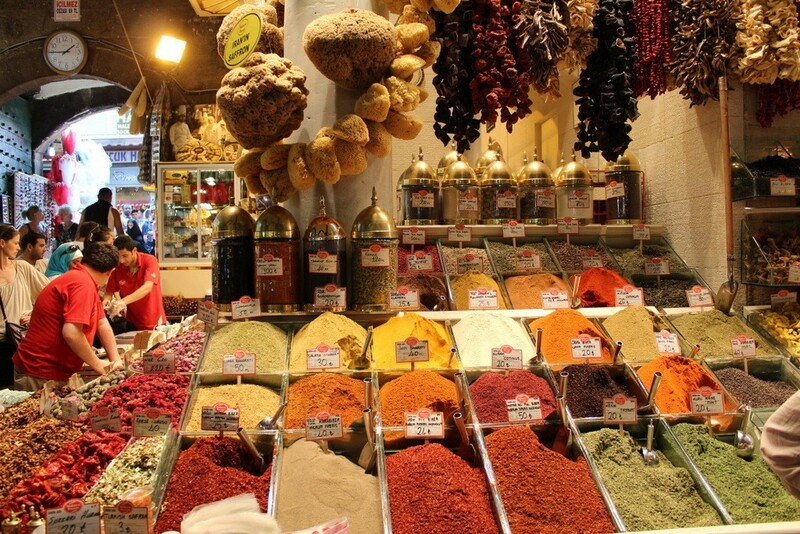 Colorful Spice Shops Of Spice Bazaar – Istanbul Spice Bazaar What to buy? Delicatessens, coffee shops and fishmongers can be found in the surrounding streets. Especially during the weekends, the area is bursting at the seams. Get ready to be dragged in the flood of local people. On the western exit of the bazaar, there is a coffee shop with queues called Kurukahveci Mehmet Efendi, which is selling the best quality Turkish coffee of Istanbul. Fresh coffee smell out of the shop flows into the Spice Bazaar. On the slope going up to the Grand Bazaar, there is Mahmutpaşa Çarşısı (Mahmutpaşa Street). Comprised of hundreds of shops, large and small, in the narrow streets, this market is where young women shop before they get married. Here one can find different types of fabrics, wools and local clothings. Prices are quite cheap. On the upper floor of Spice Bazaar is a well-established and delicious restaurant called Pandeli. A reservation is required before going to this restaurant whose walls are embroidered with beautiful ceramics. 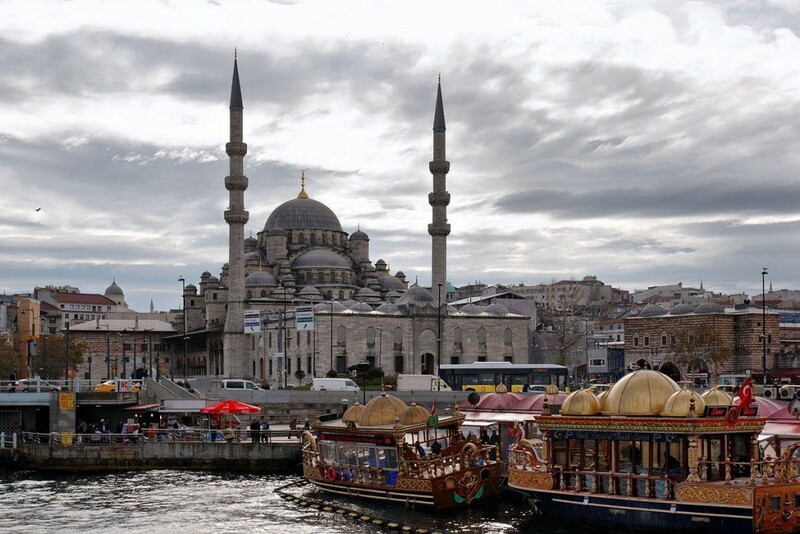 Another delicious stop very close to the Spice Bazaar is Hamdi Restaurant Besides being a perfect meat restaurant where you can enjoy Turkish kebab varieties, Hamdi offers a great view of Galata Bridge and Golden Horn. Spice Bazaar is opening at 09:00 a.m. in the morning and closing at 7:00 p.m. in the evening. The Spice Bazaar is open everyday whereas Grand Bazaar is closed on Sundays. 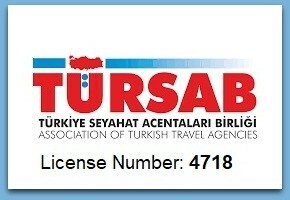 So that it would be a perfect alternative if you have only one day (Sunday) in Istanbul. Spice Bazaar is closed entirely during the religious holidays. The Bazaar is closed for 3 days during the Ramazan Bayrami (Feast of Ramadan) and 4 days during the Kurban Bayrami (Eid al-adha).